Welcome to DriveNow car sharing! We offer a premium free floating car sharing service in Brussels making it easy to drive in your city stress free. 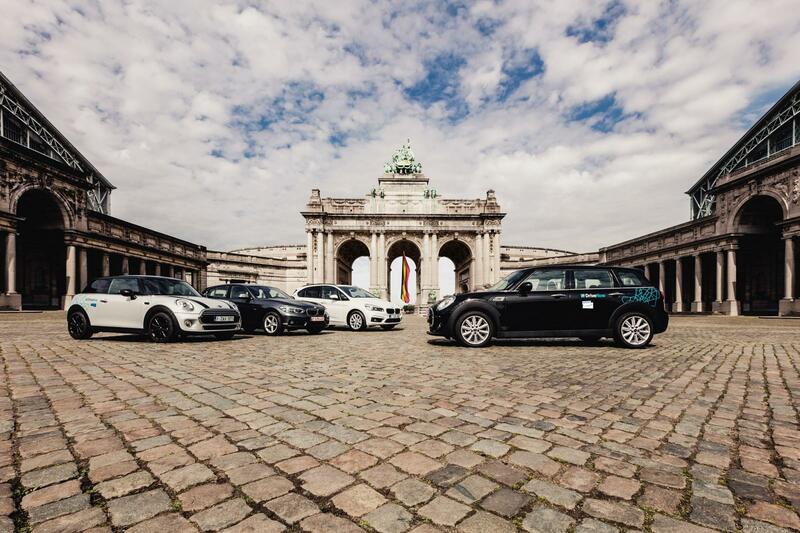 Enjoy Brussels in a brand new light with us: Over 300 of the latest MINI and BMW models are ready and waiting for you all over Brussels. The cars are ready around the clock to get you around Brussels quickly, easily and cheaply. We even offer the electric BMW i3 to drive in Brussels, signup and take all of our cars for a spin. Learn How Car Sharing Works! Using DriveNow car sharing is easier then renting a car. Just find a car near you in our app, reserve the car you want. Once you are near the car you will be able to unlock the car and to enter your PIN with the DriveNow app. Hop in the car, then push the start button and off you go. No key is needed, simply use our app as the key. Drive where you want in or around Brussels and just park the car in any city parking area in the Brussels DriveNow Zone. Did you know you can also drive to and from the Brussels airport with a DriveNow? Today a MINI, tomorrow a BMW, and the next an Electric BMW i3? Life's never boring with car sharing in Brussels. 310 BMW and MINI are parked all over Brussles just waiting to be driven. You get to decide which car you need, for each occasion. See all of the cars we have in our fleet in Brussels. Driving with us starts at 33 ct/min. Everything is included in the price! Driving in Brussels has never been so much fun! The DriveNow rate of 33 to 36 cents per minute makes it fully flexible. Refuelling and charging, parking, taxes and insurance are all included with the low per minute rate. Our pricing is 100% transparent: We guarantee that we don't charge any additional annual or monthly fees. Did you know that we also offer hourly and daily packages to make renting a car fit your needs more affordably? DriveNow car sharing is the perfect solution if you want to be mobile in Brussels, with no strings attached. Simply register, download the app – and start driving! Test DriveNow today and see how car sharing is changing transportation!